This was a short one that spent the bulk of the text defining what those loaded terms actually mean. What is culture to a grade 4 student? What does it mean to live in a third culture? 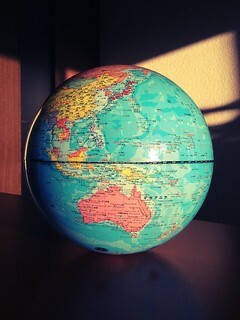 It was very interesting, and is an important part of life in international schools. For me however, I cannot read this without thinking and applying it to my own son. He is now 3, soon to be 4. He was born in Japan, and aside from a year in Toronto as an infant, he has lived here his whole life. Next year he will officially start his formal education in Germany. I am of Canadian heritage, though I have been living in Japan for so long I don't really know what that means anymore. My wife is Japanese, but very non-traditional. We speak two languages at home, English and Japanese. We do not a have a TV, nor will we probably even own one again. He is a textbook example of a TCK. I wonder at how many of the missed learning customs he will not take part in. Japanese schools are incredibly safe and provide a great environment for their kids (IMO), but a strong part of the system is training young children to be Japanese, to live in Japanese society, to think like a Japanese person, and to fit into the strong collectivist culture that exists here. Canadian schools on the other hand are about individuality and expressing yourself. The incredible multi-racial and multi-cultural make up of Canada (at least in the large cities) make it more like an international school. However, it is a very top down system, with detailed curriculum and set objectives. It does not value the things we value in education; curiosity, imagination, and creativity. Being a third culture family seems like a good fit for us as a family. Of course, we have no idea what we are getting ourselves into, but we are going to enjoy the ride. Is the world small or large?